As with other consoles and handhelds (Wii and 3DS), I like to try and keep tabs on the game library. This not only serves as a way for people to see what I've got, but to see if there are similar interests, and if so to quiz me on select games, suggest playthroughs, or simply suggest I try a game out. 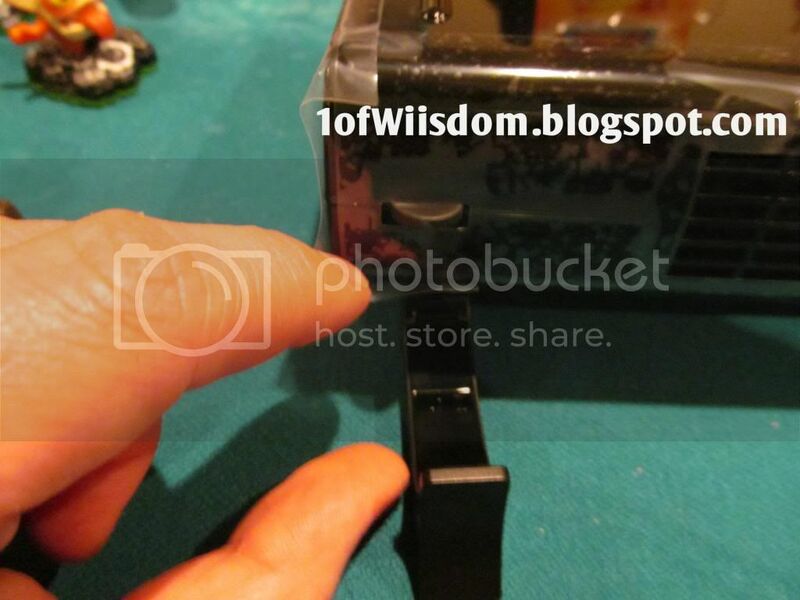 This one is really my best chance to stay "up to date" on, so I'll do my best. What Was Stock Like? Picked over pretty good, but I think you won't have any trouble finding it. 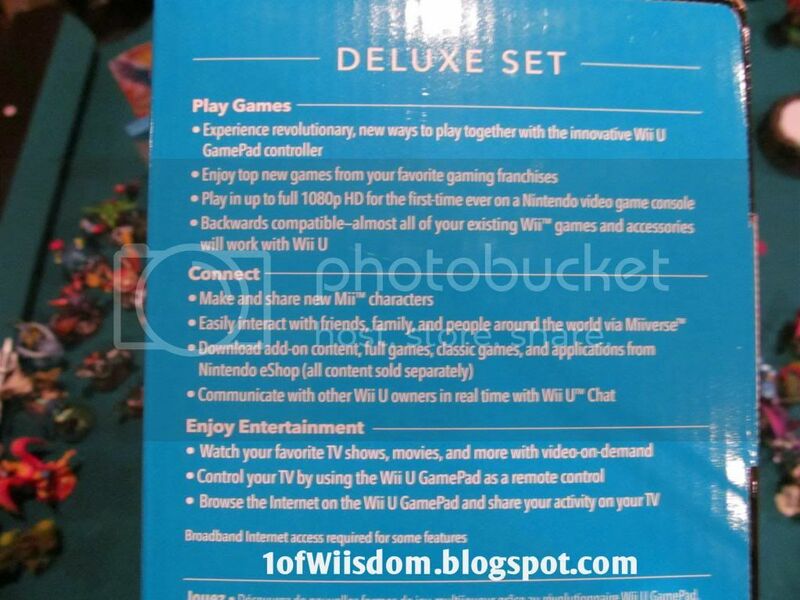 Again, these unboxings were done by viewer request to get a feel for the Wii U packaging and disc art etc. Assassin's Creed III has nice cover art and disc art, but the black and white manual fails in comparison to the full color units we saw in Nintendo Land and NSMBU. When the Wii U was announced and I saw all the great third party games were back (N64, GameCube) it really got me excited. The Wii U not only lets us enjoy the Nintendo staples that are always high quality and endearing, but also pick up some of the 3rd Party Gems that for so long evaded the Nintendo segment. The fact that I got this for 40% off via the TRU sale on Wii U Games (11/18-11/21) just makes it that much more of a great deal. 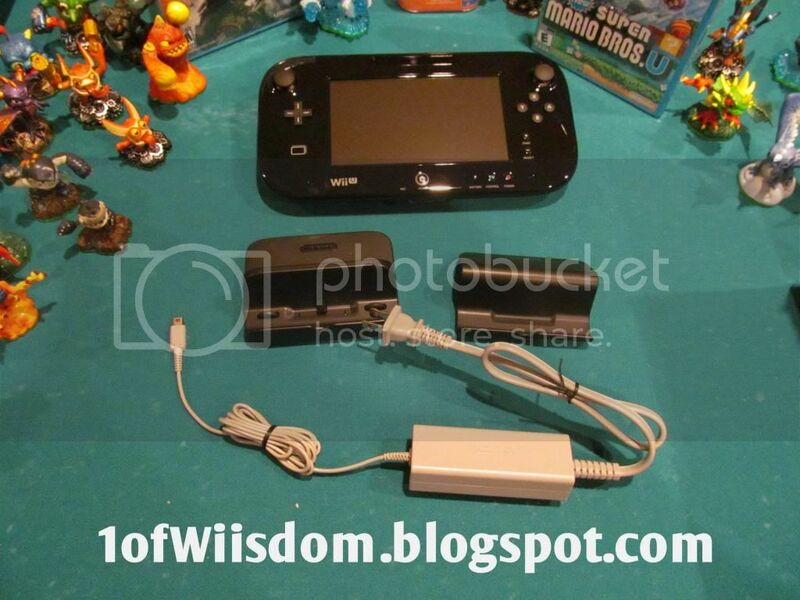 As mentioned in the NSMBU post, that is a great sale and I suggest you take advantage of it if you are able! What Was Stock Like? 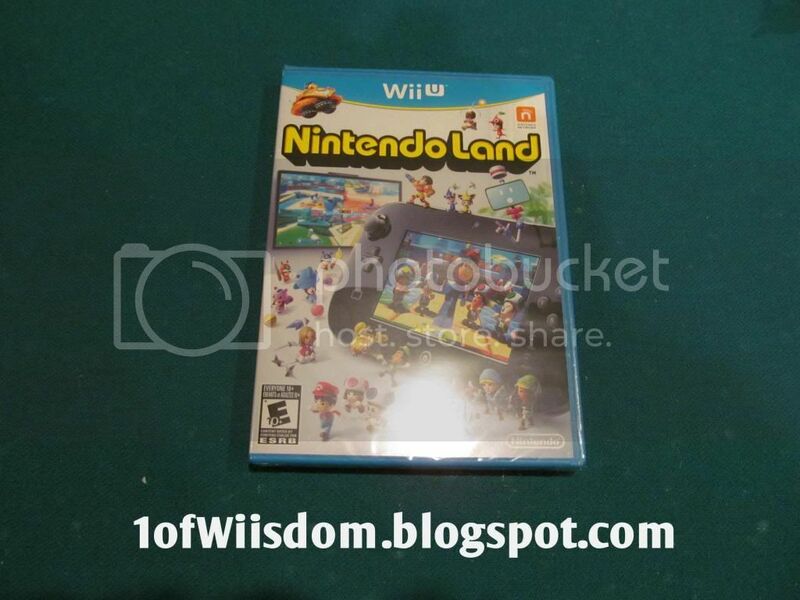 Most stocked Wii U game...shouldn't be hard to find. New Super Mario Bros. U screams fun...and that is just from the packaging. Nintendo really nailed the bold, grab-your-attention blue and coupled it with colorful, deep cover art that just draws you in to wanting to experience the game IMMEDIATELY. 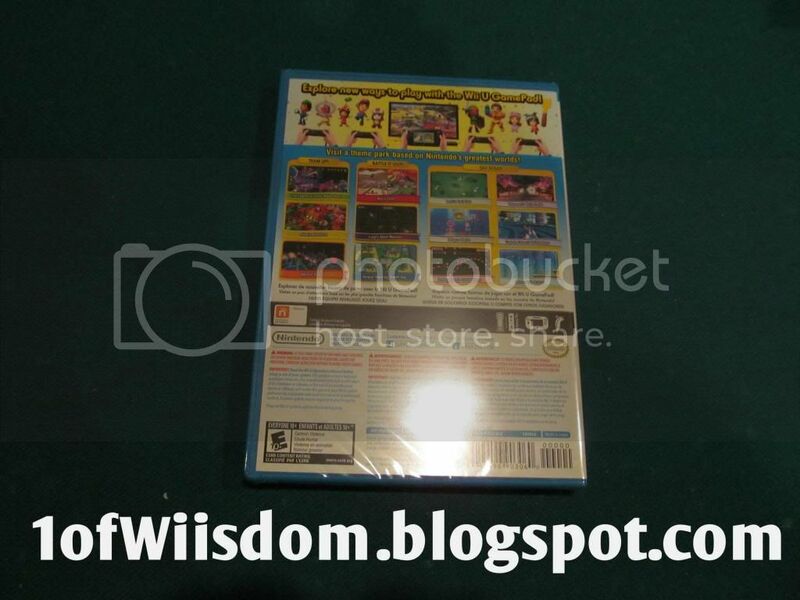 I was very impressed with the packaging overall including the manual and game disc. What I liked best about the NSMBU packaging was the very nice World Map inside...I honestly hope to see that show up in Club Nintendo! Speaking of that, NSMBU is of course a Club Nintendo title and you can currently redeem it for 70 Points...a very nice treat for the Nintendo faithful! 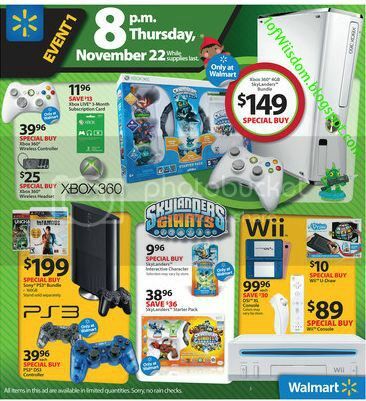 Also, I can't stress enough that TRU has a BOGO 40% Off Sale on Wii U games running from 11/18-11/21! This is a huge savings on what should be top-tier games...I am still shocked that they chose to do this on launch day...Take advantage of it and score yourself another launch title at nearly 1/2 price! Well, North America...today is the day. 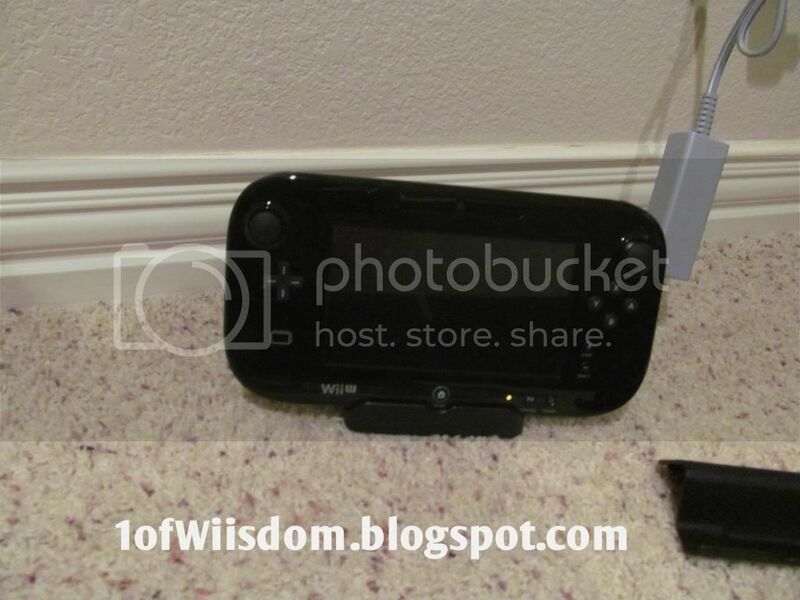 Nintendo' Wii U launches today! Many of you already have it thanks to midnight releases...and some of you like @Britt5091 have 3 (I guess because you're just awesome, lol). 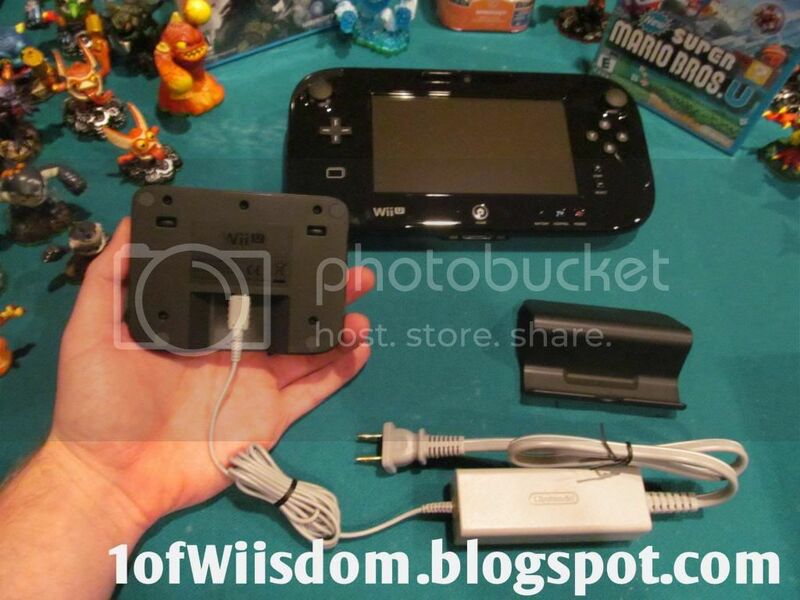 I got confirmation Thursday afternoon that my Wii U was going to be ready to pick up at Toys'R'Us. I pre-ordered it on Day 2. I actually went in on Day 1 (Thurs.) and the store didn't have the cards or info to take any pre-orders. 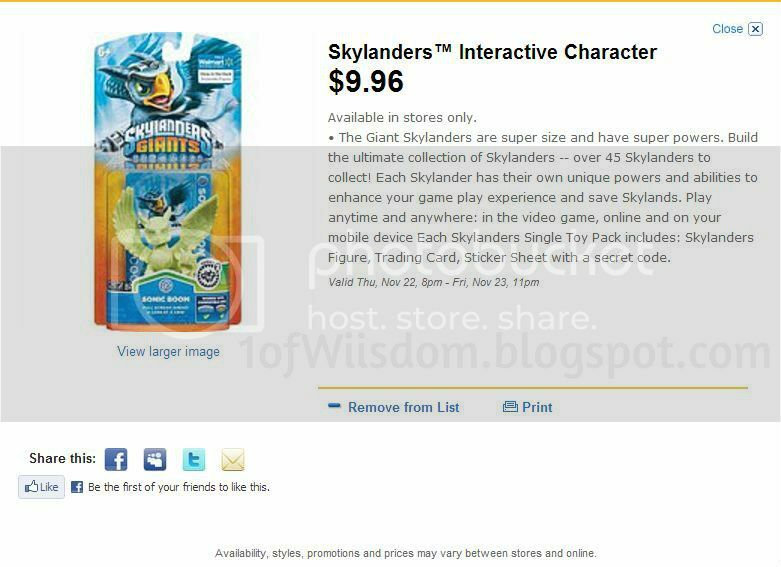 Jut for the record of me being diehard Nintendo/Skylanders and/or annoying to my local TRU I was the first person to use the "Hot Toy Reservation List" to secure the Legendary Triple Pack, bahahaha. The plot actually got thick there for awhile because I was leaving to go out-of-town on Friday...I knew they would sell out fast (and they did! ), so I asked if I could call in...The lady I dealt with was great and told me she'd be in around 11 AM. 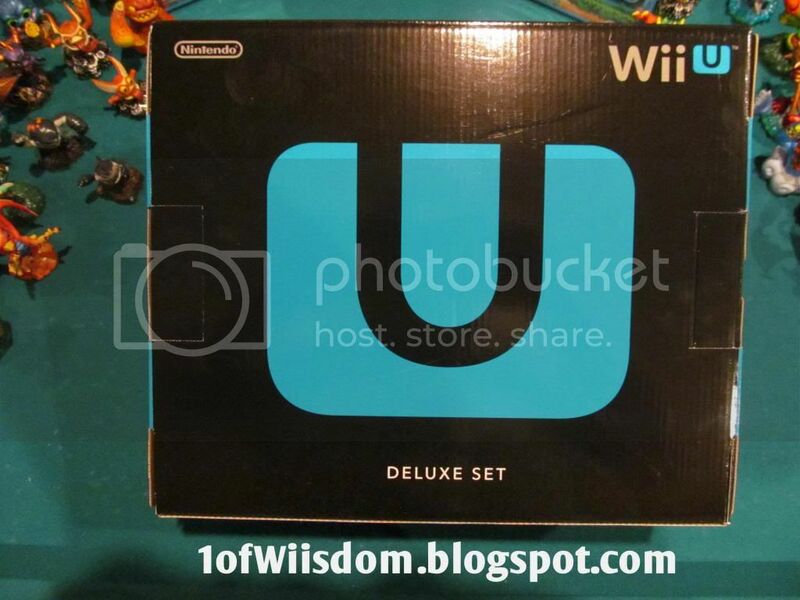 I called, she took my info and credit card info ($20 deposit), and thus secured my Wii U Deluxe. I ran in next week and got my reservation card from her. This past week I pulled it out and had a semi-panic as there was no receipt with it. I've been picking up Christmas gifts for my nephew for several months and I save all the receipts...it was no where. I still had the Hot Toy List print out, that series of receipts (overall I think there were like 8), and the GameStop paperwork for my Golden Dragonfire Cannon Battle Pack. 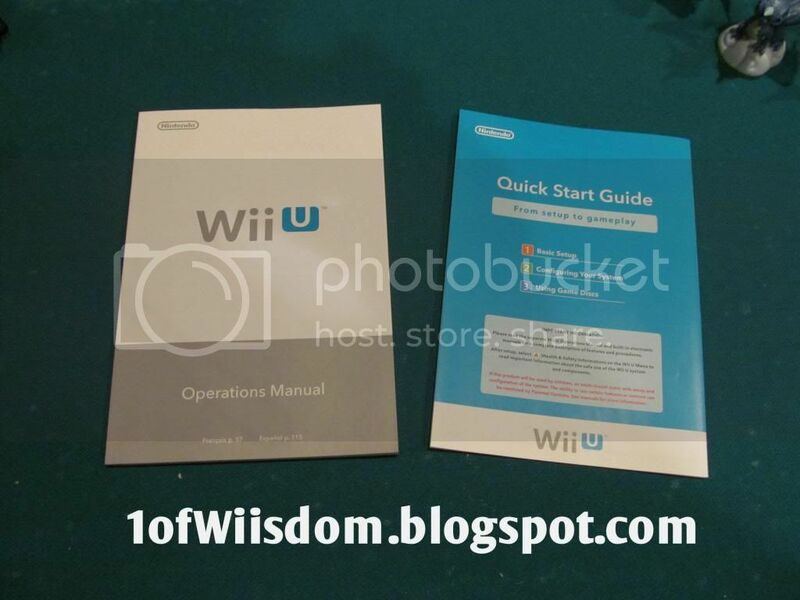 The ticket clearly read "Bring this reservation ticket and your receipt to pick up your Wii U." Crimey! 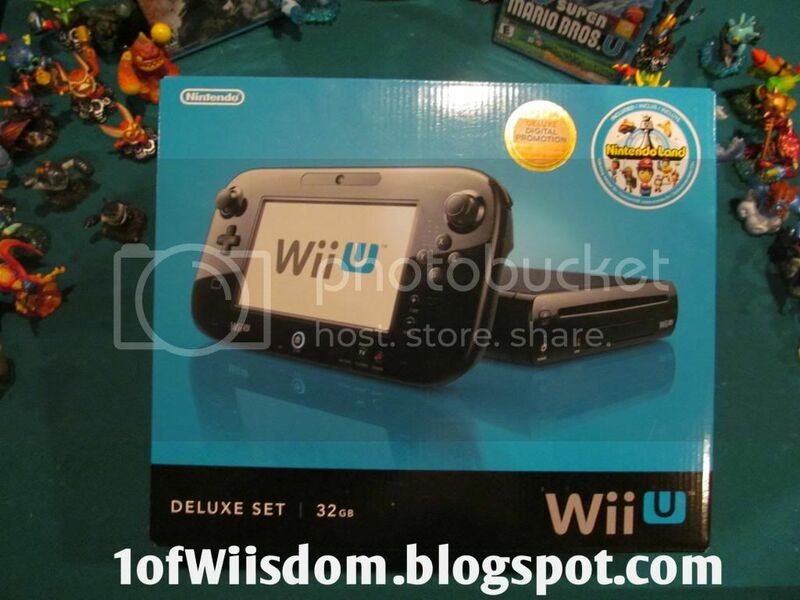 Here I am thinking I'll not only miss out on the Wii U, but loose $20 in the process. That was a big weight off my shoulders...just for good measure I asked Thursday night and the associate said she thought she still had the receipt on her desk but not to worry because she knew I pre-ordered and they would hold it for me...Awesome! So I will be honest...I was actually debating NOT getting any games. I know, sounds crazy right?! 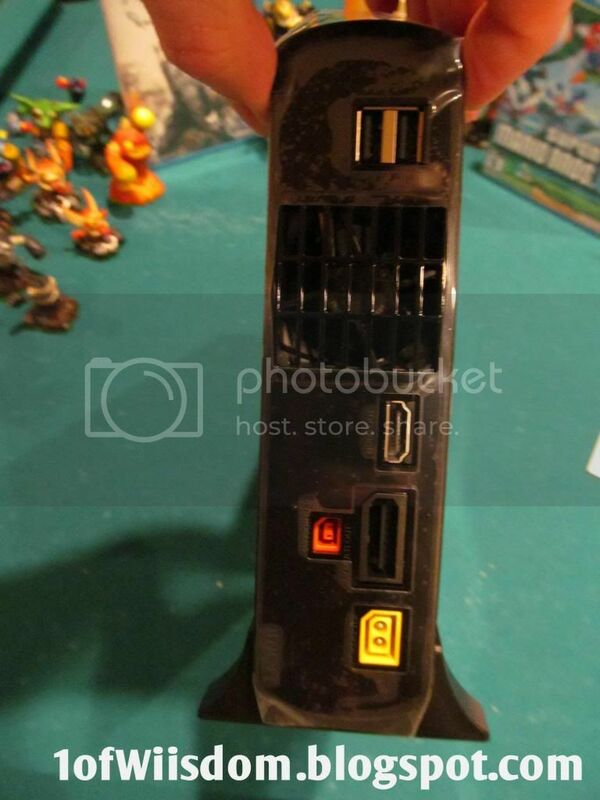 But hear me out...I am in the middle of what will be an extensive Skylanders Giants Playthrough. I then want to finish Mario Kart and Mario Party 9. In the mean time I want to play and finish SSA 3DS, start and finish Giants 3DS, finish Professor Layton and the Curious Village DS, and I've got Professor Layton and the Diabolical Box (got it locally late in the summer) AND Professor Layton and the Unwound Future (got it to get free shipping from Amazon and at a great price) that I kind of want to get started and wrapped up so I can feel good about progressing into the new 3DS Layton game. Granted the 3DS stuff is kind of limited use, late night before bed, and travel situations, BUT it is pretty extensive. Oh, and I got Super Paper Mario Sticker Star for the 3DS on the BOGO 40% off sale Thursday night...Yep, it is in the mix...Gotta have something to break up the puzzle/mystery that is Professor Layton! So what I wanted to do was focus my main attention on the Giants playthrough...leisurely work on the 3DS list, and then get into Wii U games as I wrap up Mario Kart Wii and Mario Party 9. That said, there are several I am very interested in, most notably New Super Mario Bros. Wii U, Assassin's Creed III, and Black Ops II. There are a few other titles I'd like to try as I haven't had access to them with my Wii/PS2 set-up. However, an e-mail from TRU changed my mind. 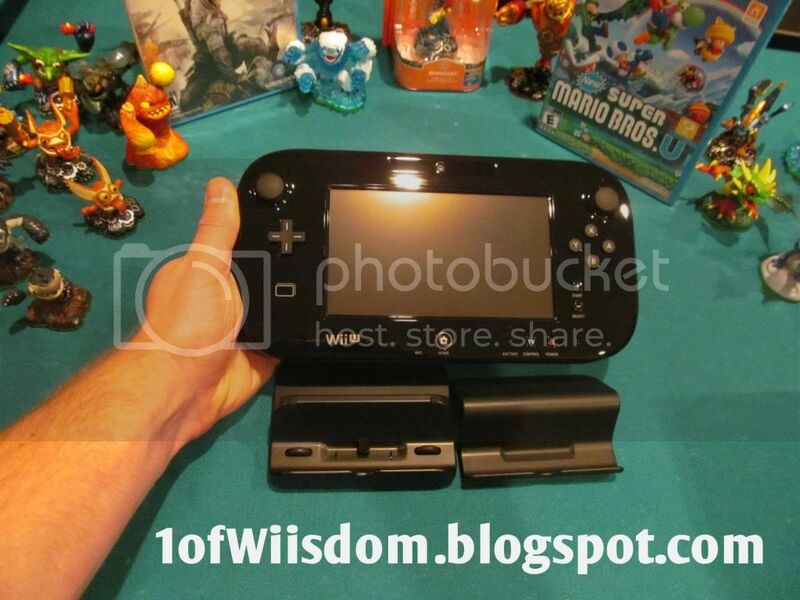 Tomorrow, yes launch day, TRU is having a Buy One, Get One 40% off sale on Wii U Games! I did not expect that on launch day. 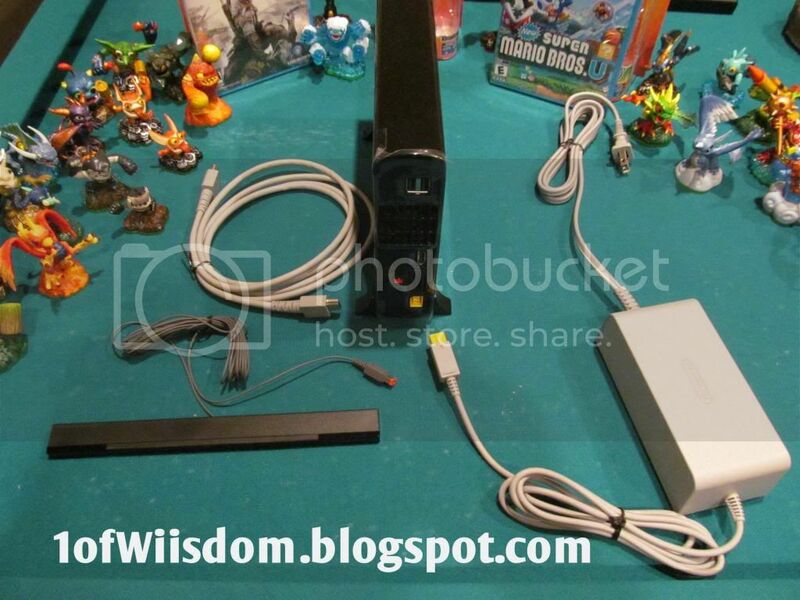 The sad fact of the matter is that NSMB will likely be perched at $60 for a LONG TIME. If ACII or BOII come down in price it will likely only be $10 or so in the immediate future. 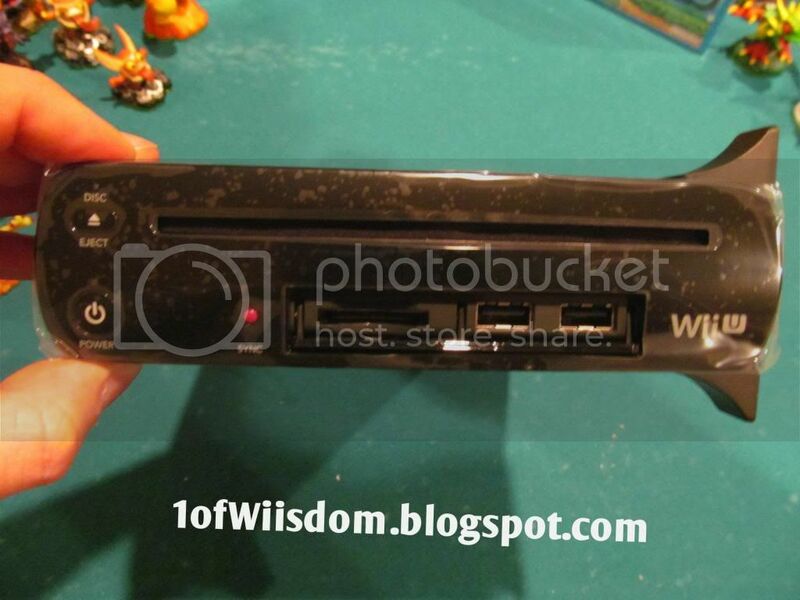 This changes my plans as that is a pretty solid deal AND I'd really like to play NSMB Wii U for a change of pace from Giants (or just when it is too late to record or the computer isn't wanting to cooperate etc). I will probably head in tomorrow and see how it goes. 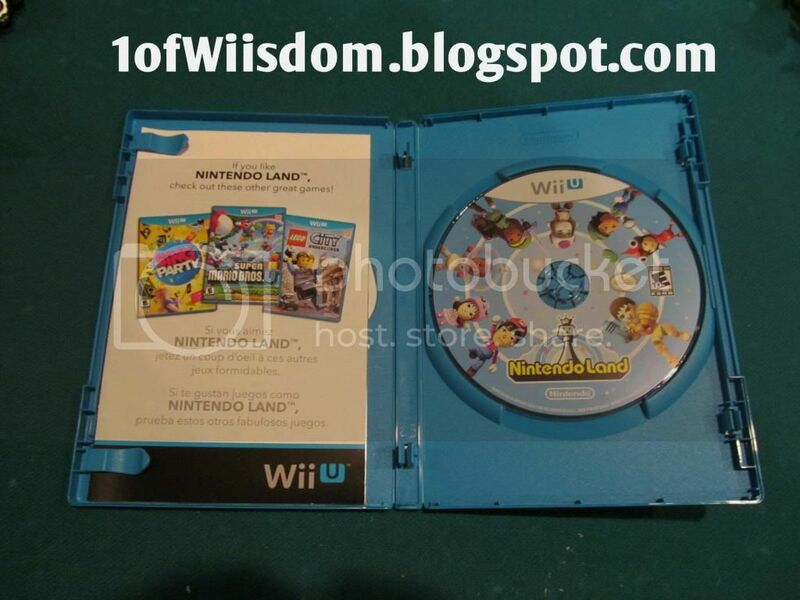 I really planned to just be content with Nintendo Land and fully explore it and enjoy it while I wrap up other things and hope to see prices come down etc...I still plan to stick to that, just maybe with 2 games thrown in the mix. So, where are the videos? Well, they are coming my friends...I should upload several of them tonight (Sunday). I actually recorded last night (Friday) and did intros for all the recently unboxed characers (LC Drobot, LC Eruptor, Whirlwind, Trigger Happy, Slam Bam, Terrafin, and yes...Hot Head!). Tonight I did something different and went ahead and edited all of last night's recordings. That means I am fully caught up in that regard. Yep...Part 41 is ready to go as is everything below it. That should give me quite a bit of time to focus on the game play (beginning with Chapter 6) and make solid progress as I do not anticipate getting any new Skylanders, although I could be wrong. I'm not sure if I will upload 2 each day, or just pile a ton of them on...I will be very busy around Thanksgiving and probably won't be doing anything in terms of uploads or recordings. The other big accomplishment from Friday night was the fact that I spelled out all the HCs I have access to WITH descriptions and WITH power stats. I will be posting it to the blog later and can then order it accordingly etc. I would already have done that stuff IF the playthrough were complete...I kind of want to keep the focus on that, finish it, and then get in to the extra stuff and details etc. I won't go into many details, but I really want to get a new Battle Tournament set up BEFORE Thanksgiving...It will be the same set up as last time...Video intro, vote on the blog, winners advance, crown a champion! Stay tuned for updates! First off, hopefully that post makes sense...I'm typing it at 430-5 AM and this is after I was up until 7 AM last night recording all the new character introductions. Luckily, the new computer has the HDMI port and a very nice size screen so I can hook it up here (with the help of (yet) another outlet expander). It will be far from ideal, but it will let me download the update (which is quite lengthy from what I have seen tonight...expect over an hour), and check things out. 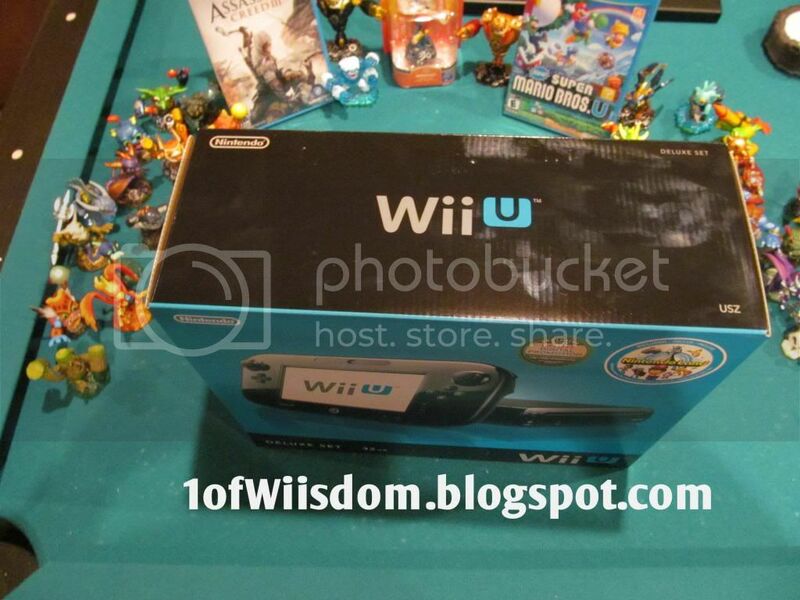 So the next question is who all else is getting a Wii U on launch day? What games are you picking up? If you aren't getting one do you want it for a gift, or hope to pick one up later as funds allow? I feel lame for getting the console, not having a "modern" tv, and not really wanting to spring for all of the new titles, but I suppose I am a different sort. My tv is staying put and I really do want to focus on Giants before diving into ACIII, Black Ops II, Darksiders II, Batman Arkham City, MEIII, or even ESPN Sports Connection (which I think will drop from $49 soon...hopefully). 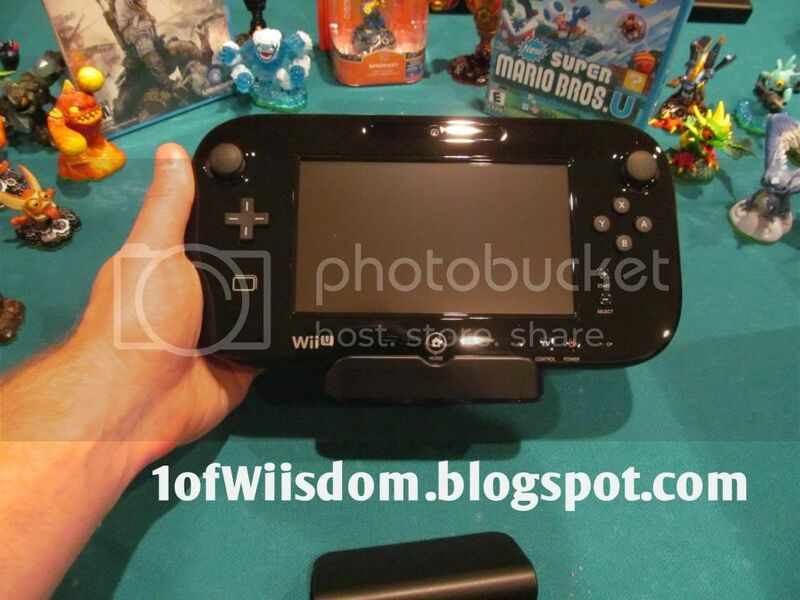 I kind of want to take the Wii U on as a chance to buy 1 game and actually complete it before getting backlogged like I have done with the Wii, lol. 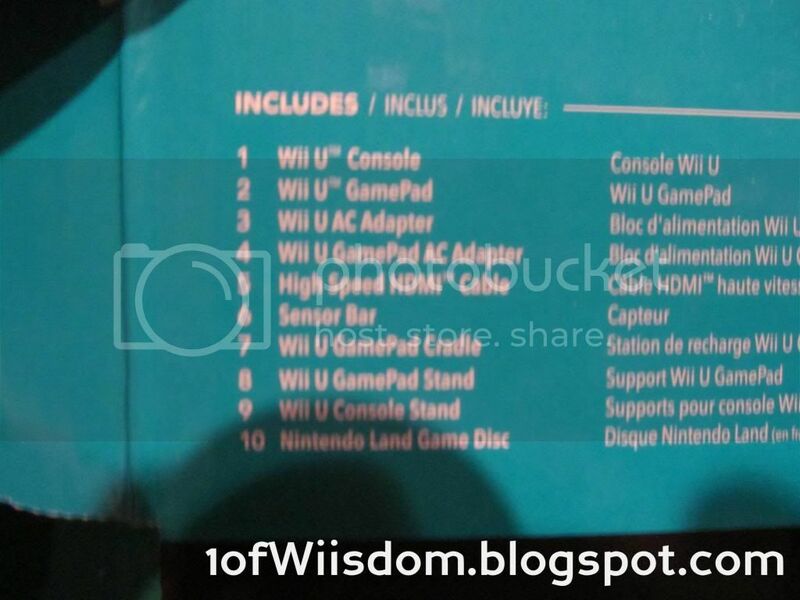 I guess on the bright side I can play all these untouched and waiting Wii titles on the Wii U! Anyway, I'm very tired and going to get some sleep...Post up what your plans are! Hope you are all having a great weekend! What Lights Up? The center portion of his back...sadly, that is all. What Was Stock Like? I have yet to enter a store that did NOT have LC Drobot. I know Drobot is a fan favorite and not many are complaining about him getting both a Series 2 remodel AND a LightCore figure. That said, I feel like Drobot is by far the most lackluster LightCore figure overall. I have yet to see some in person (Hex, Chill, Shroomboom), but I feel Drobot was done a great injustice. For being such a followed Skylander Drobot was really shortchanged here. If anyone was to guess what would light up on Drobot it would be his eyes...as they shoot lasers. The next logical step would be his wings...We got neither on this one. Instead, we just have him glow from his back...not really like the afterburner even...just kind of a "What is the easiest way to put a light in this one?" It isn't horrible, but the bottom line is there was a TON of potential here and I can't help but feel it was totally missed. I've had several people tell me the same thing. I feel like Drobot is far more "followed" than Hex, Prism Break, or Eruptor and yet I feel that those three got better LC features than everyone's favorite robot dragon. My official opinion on the old guard LightCore is that Prism Break is the cream of the crop. Drobot's LC just doesn't do him, or his massive fan base, justice. That said, the lackluster lighting doesn't really impact gameplay so you've got that in your favor. I would like t point out that the way the light is positioned you really don't even see it if you place Drobot on the portal facing you. 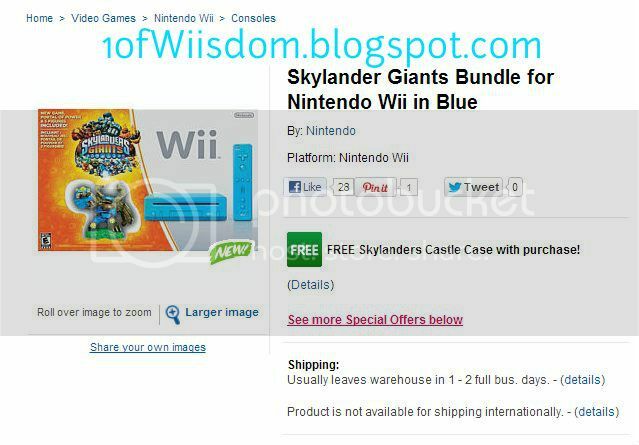 A bit disappointing for such a well liked Skylander. Well, not sure that should be the title, but it applies to some of the post and it is 4 AM so we are going to run with it for now. GREEN GILL GRUNT has finally surfaced! 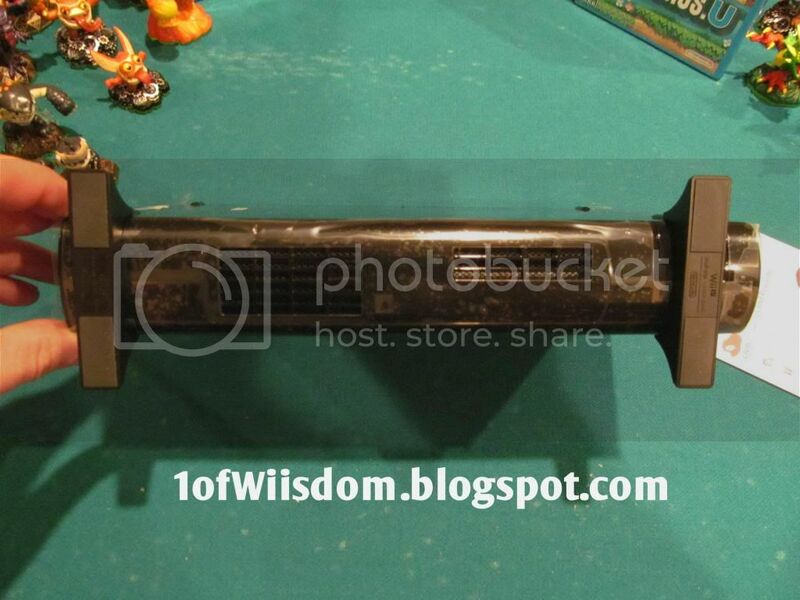 We finally have a solid shot of the anticipated GITD Sonic Boom. At least this is a Series 2 figure and not some rehash from late 2011. That said, the box art depicts the Walmart Exclusive logo so I would have to guess we will see as many of these as we did TRDS (Translucent Red Drill Sergeant). 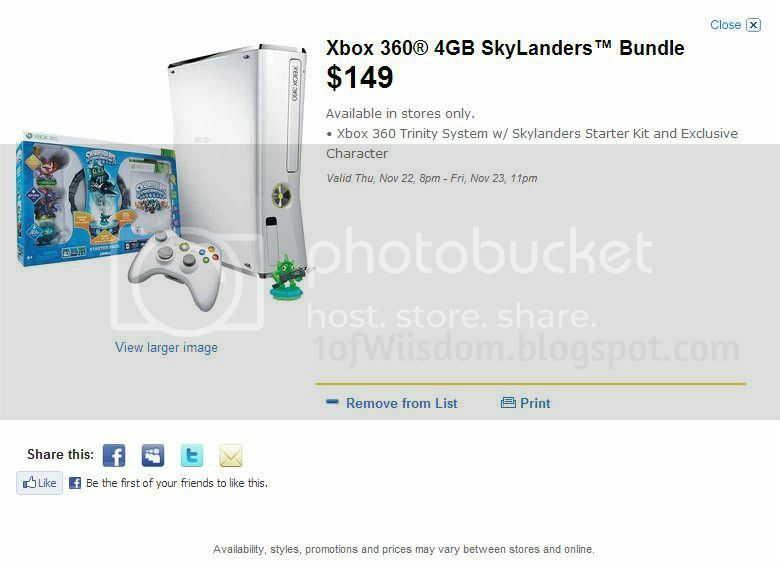 And lastly, we have Toys'R'Us finally advertising the Blue Wii with Skylanders Giants and the highly sought after Gnarly Tree Rex! I have to say this one is tempting...and here is why. 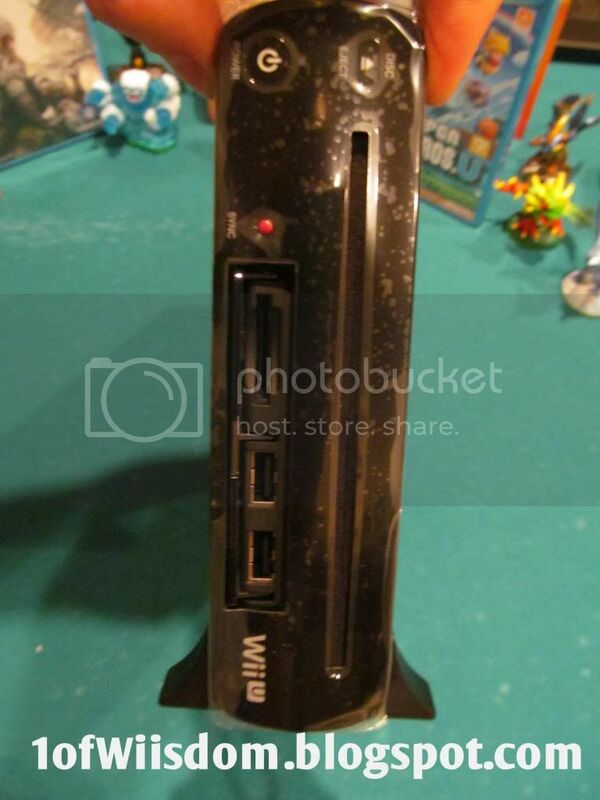 The Blue Wii looks good, but when you factor in Giants costing roughly $75 that means you are getting the Wii for roughly $75, and it includes the Motion Plus Remote (roughly $40). 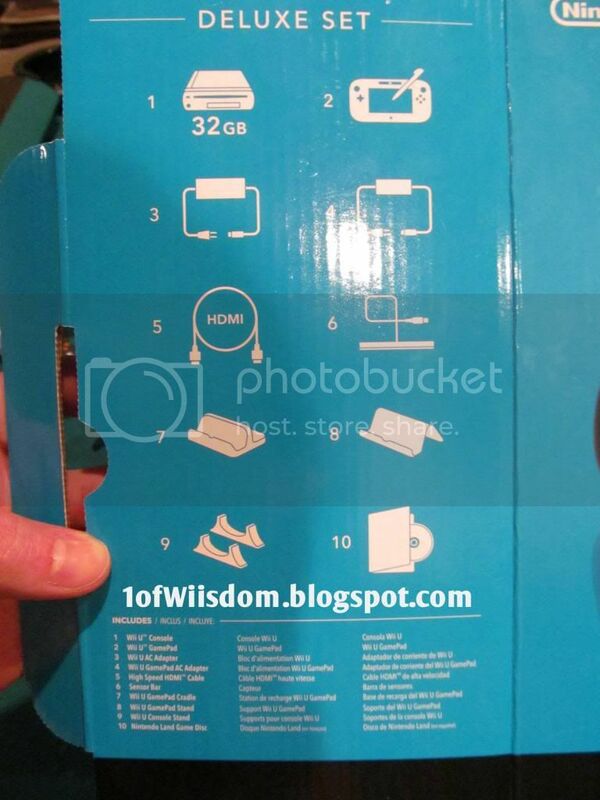 Oh, and lastly you might have caught that Walmart is selling their GITD Exclusive Starter Pack for $38.96. That is a heck of a deal! Good enough for me to go out and stand outside a store with a bunch of nuts...no, but a good deal nonetheless. If you are on a budget, or just really thrifty, this is a hot ticket. I caught Hot Head on Amazon tonight, had him in my cart and the total (saved another item) was $24.01...I needed $0.99 more for the Free Shipping. Well, by the time I found another CD and added it in the item was gone...maybe I'll get lucky tonight and find him. What Was Stock Like? I honestly saw my first LC Jet-Vac this past week when I landed the Sproket and Flashwing Triple Packs. Toys'R'Us had a few of them, GameStop had 2, Walmart had one that was hidden, and Target had none. Online he is easy to locate, but still tough to find "in stock." That said, I honestly feel like stock for LC Jet-Vac, Sprocket, and Flashwing etc will slowly build up over the next few weeks prior to Black Friday. So if you want him, stay diligent and I bet you will land him! What Lights Up? The Air Medallion/buckle lights up and radiates out back thru the clear canister. You also see a very nice light in his gun. The video shows the lights well, but not their color. The light is so bright it kind of washes out the true blue color of both lights. If you want an accurate feel for the shade of blue simply look at my hands when the lights are out. I said it several times, but this is one LightCore that will definitely look great in person and really casts a lot of light! What Was Stock Like? I think there were 4 in the store, the other three all stashed. That said, Toys'R'Us had none of the Triple Packs. Target had no new Triples or new singles. GameStop had singles but not this triple pack. This has actually turned out to be a pretty cool triple pack. I didn't figure I would get lucky and find it quite this soon, but I suppose diligence pays off...or scalpers are waiting till Black Friday. That said, Flaswhing is a character I am really looking forward to...If you were unaware the Earth Element is my favorite and that coupled with the story reference lasers shooting from her tail give me high expectations. The figure, while not my color scheme, looks great. Double Trouble is my favorite Magic Element character and one that I think is under rated. I used him box-stock to do what most deem "difficult" portions of SSA and he aced them. I am not a huge fan of the repose, but the fact he gets a Wow Pow Power makes up for it. The real icing on the cake, and an unexpected surprise, is how well done Gill Grunt's repose looks. Prior to unboxing, I had no idea he was "blasting off" with the water tanks out back. The colors are vibrant, the harpoon looks killer, and the fact so much went in to the design just makes you proud to look at it knowing he is in your arsenal. That said, the other treat is that short of going online or buying another Starter Pack for SSA, there was no way to get a "spare" Gill Grunt (Series 1) to take down his other path. I can finally try Water Weaver and get the benefit of the Wow Pow to go with what is easily the most impressive repose I have seen to date. This triple pack definitely saved me a few bucks and stacks up very well!